KIVLAND, Sharon (2017). Freud's Views. Freud on Holiday Appendix 5. London, MA BIBLIOTHÈQUE. Almost every year Sigmund Freud went on holiday, often accompanied by his brother Alexander, an expert on railway transport, timetables, and travel tariffs. 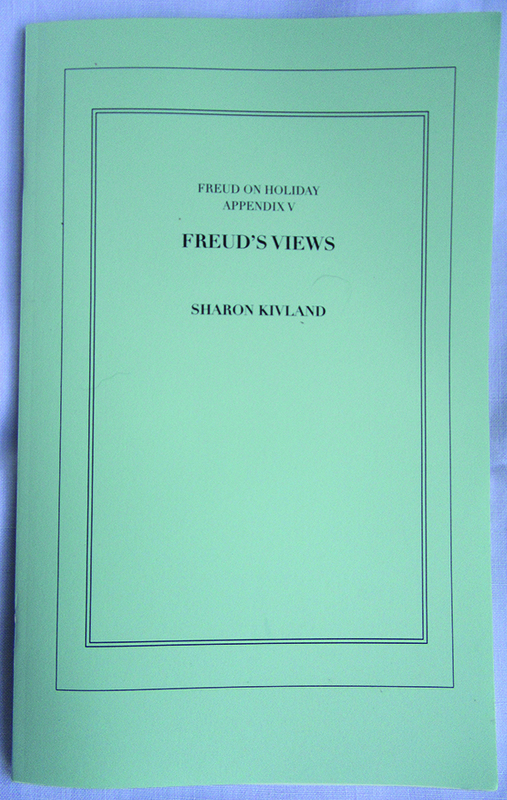 Freud made a distinction between the holidays he spent with his family during the month of August, usually in the Alps, and those voyages he took later, most often in September, with complicated itineraries. Freud prepared carefully for his trips, attentively consulting tourist guides and other travel literature—especially those referring to sites of classical antiquity—such as the famous Baedeker, of course. The fifty-six letters and hundred and eighty-nine postcards of his travel correspondence with his family and reveal his enjoyment of these holidays. From the hotel Grand Savoia in Rapallo, he writes to Alexander that he is simply drowning in a life of ease. In 1936, in an open letter to Romain Rolland on the occasion of Rolland’s seventieth birthday, Freud ends thus: ‘I myself have grown old and stand in need of forbearance and can travel no more’. 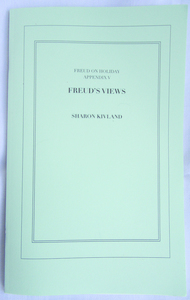 Herein Freud’s views, as both prospects and opinions.